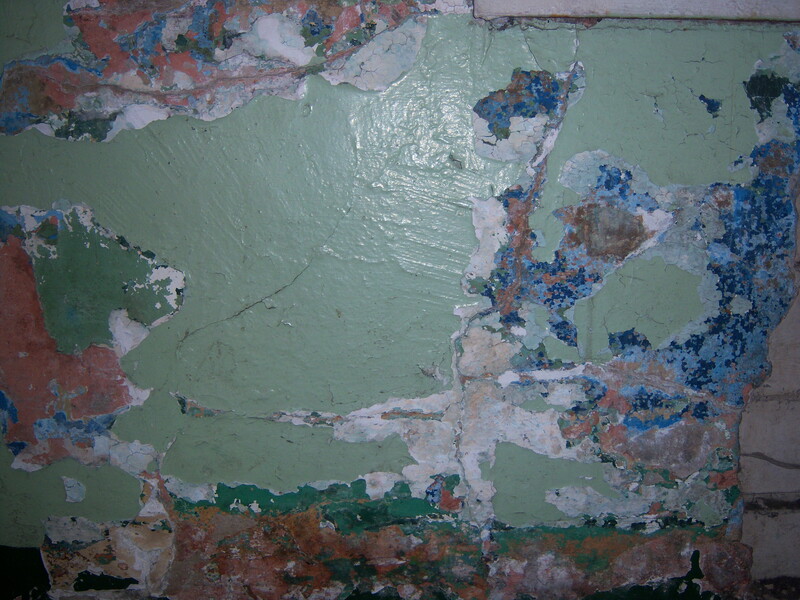 These are “background” shots of random surfaces in Alcatraz prison and on Alcatraz island. 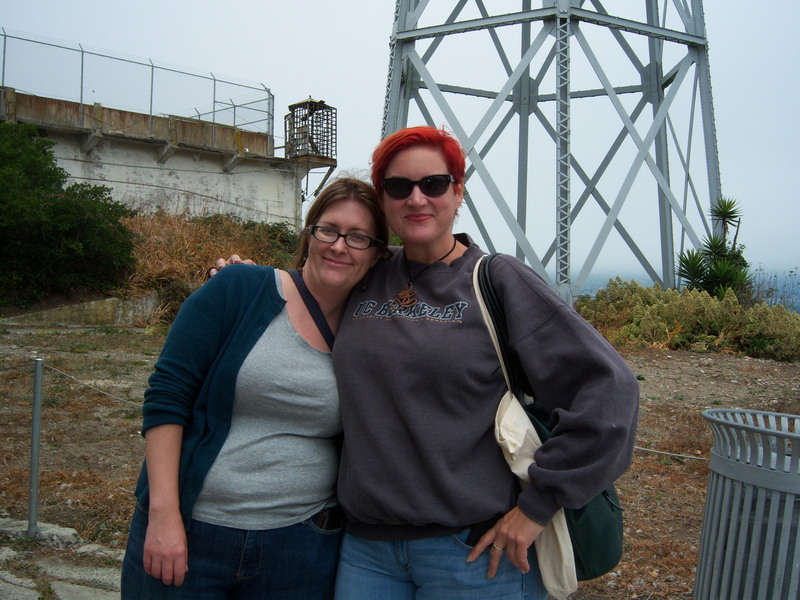 I got to tour the prison on 6/26 with a couple of Librarian friends and it was SO COOL, and not JUST because I got to wear blue jeans in a prison! Elizabeth and Me. If you get the chance to go most anywhere with a Librarian (or 7!) DO IT! 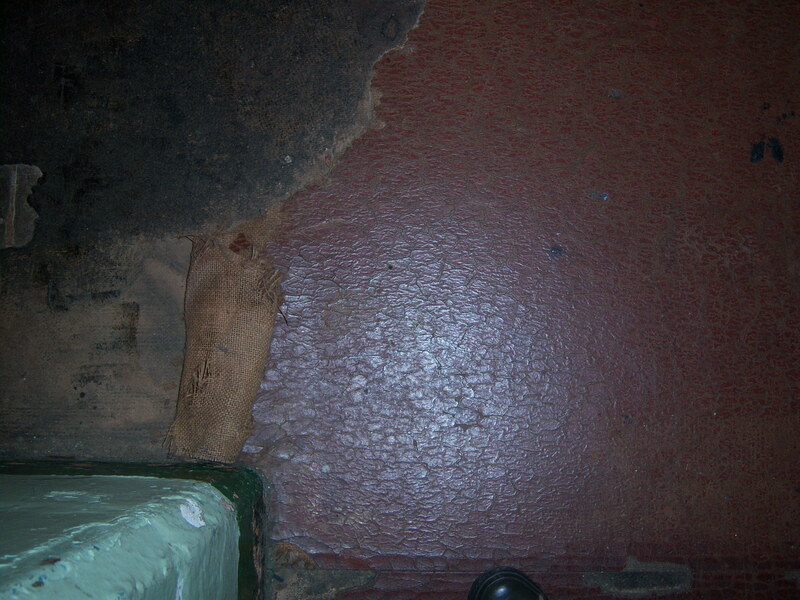 This is the spot that got me started on being the weird girl, taking pictures of walls and floors, at Alcatraz. 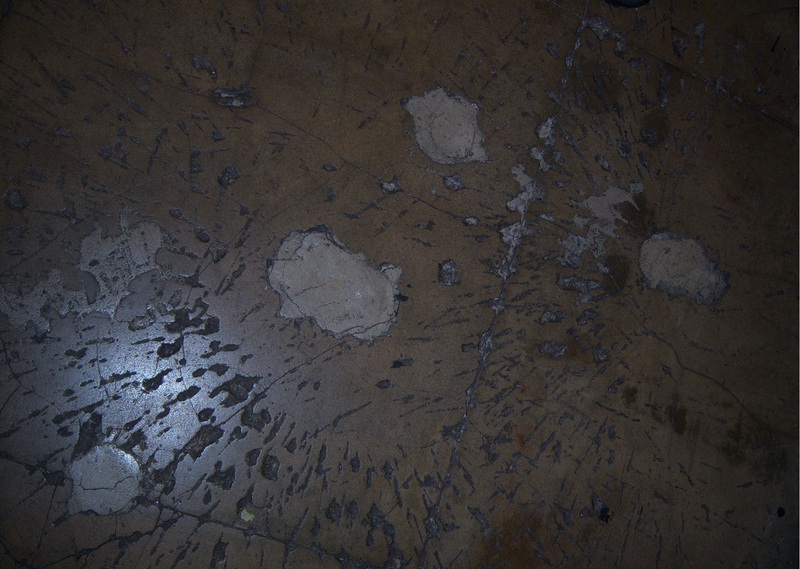 This is a floor in a “pass through” and the marks are from grenades thrown by the US Marines when the prisoners took over part of Alcatraz in 1946. This is the floor in the chow hall. 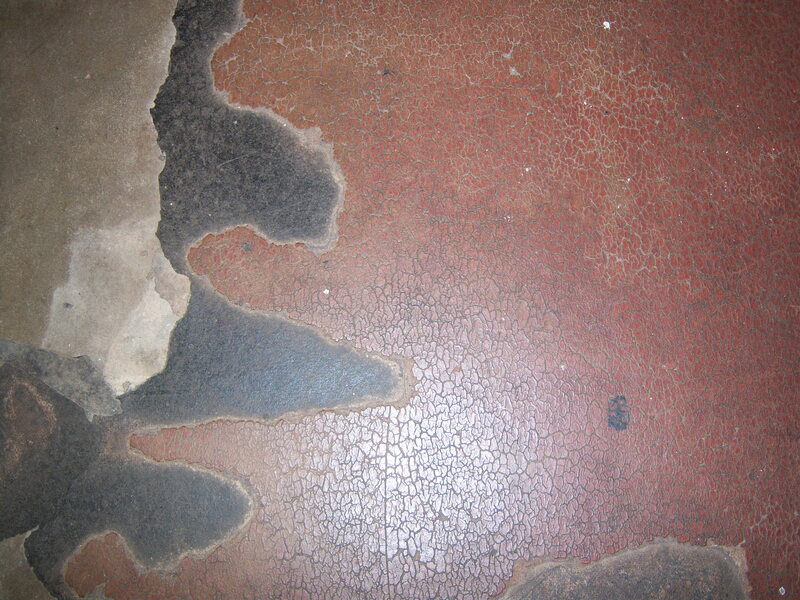 If I had not seen this section, I would not have known that the worn “floor” was covered in sealed canvas-like material. Here you can see the different layers…red canvas on black Paint? Adhesive?, over concrete. I just find it so interesting that cloth was used in an eating area at all, sealed or not. 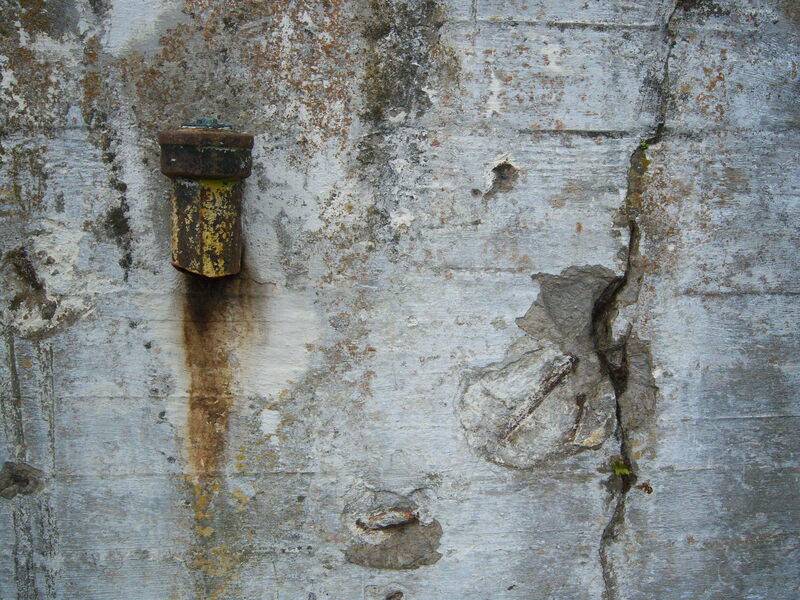 Part of a wall outside. I am endlessly fascinated by green things that grow, but that is most likely because I currently reside in a barren wasteland of a desert. Oh! 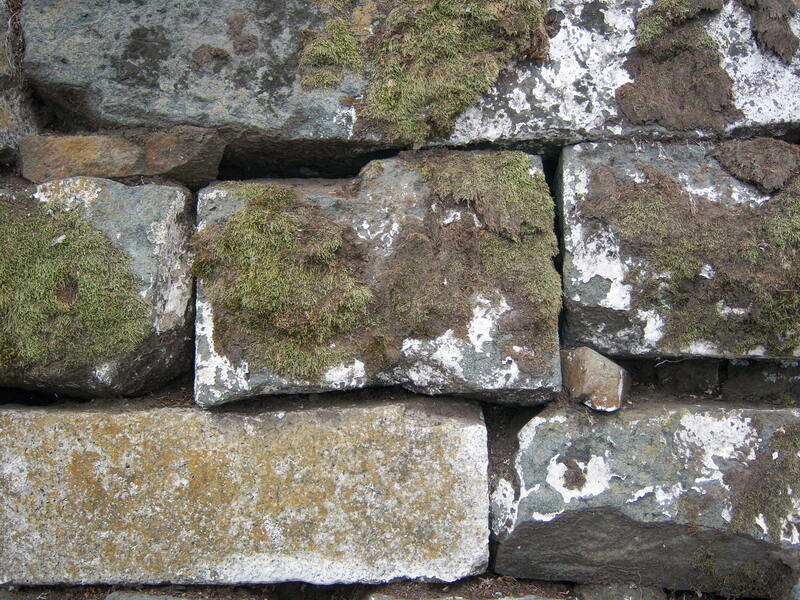 And these “background” shots will someday become part of future art I WILL CREATE! This entry was posted in Horatio.